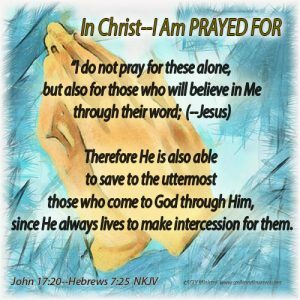 Believers, Christ is praying for us every moment of every day. His Spirit is within us teaching us how to pray also. We are covered in prayer. Walk securely in that knowledge and give thanks.